Fair play, commitment, teamwork and self-expression for under-served youth in New York City. 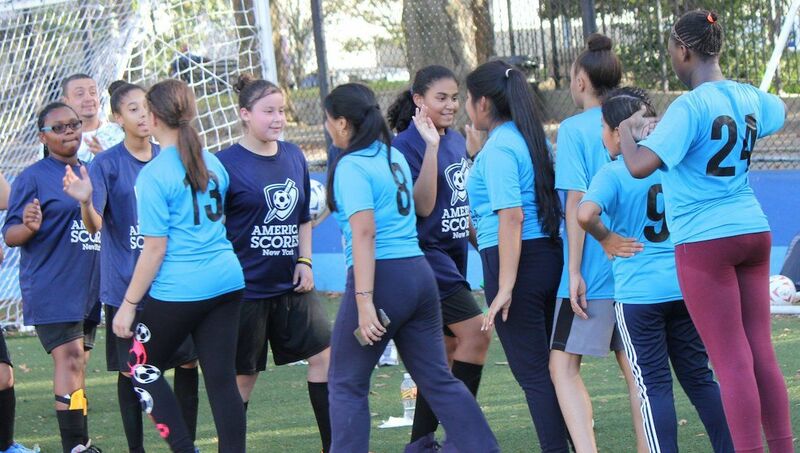 Through a combination of soccer, literacy and service learning, our unique after-school program shines a spotlight on these poet-athletes, helping them develop the skills to make an impact on the world. America SCORES New York has partnered with Give Lively to securely process your online donation. This transaction will appear on your credit card statement as "America SCORES New York". This transaction is subject to Give Lively's Terms and Privacy.